New laws passed earlier this year by the Cambodian government make it far easier to dissolve political parties should their leaders be convicted of domestic crimes. For critics, however, these measures are merely a way for the government to eliminate opposition before the upcoming elections. On 20 February, the Cambodian People’s Party (CPP) changed the law covering political parties in wha some commentators have described as the ‘final triumph of dictatorship’. The amendments made it easier for Cambodia’s Ministry of Interior and Supreme Court (both widely seen as CPP controlled) to dissolve a political party on the basis that it threatens national unity. The new law equips Prime Minister Sen’s government with vast new powers over political parties and it was approved with 44 votes from the ruling party in the National Assembly. This allows the state to “dismantle any political parties deemed as secessionist or subversive”, forcing opposition leader Sam Rainsy and others like him to resign. The amendments also outlaw foreign funding of political parties, including from the Cambodian diaspora, which essentially damages both the opposition party and the multiparty democratic system. The opposition’s 55 lawmakers boycotted the vote. With the previous vice-president of the opposition Kem Sokha leading the party until new leadership is decided, the Cambodian National Rescue Party (CNRP) has slowly gained more recognition in Cambodian society. But the changes to the law are unfolding just in time for the 2018 general elections, pointing to a potential crisis within the ruling party and pressure to eliminate the opposition. Demonstrating the stability created by his regime, Prime Minister Hun Sen made it clear, stating, “If they want to kill Hun Sen or overthrow Hun Sen, what will happen next?” As the political environment changes and new generations challenge Hun Sen’s authoritarian rule, Cambodia’s democratic stability hangs in the balance. Kem Sokha’s intentions as the new opposition leader are also being questioned with reports suggesting he has made deals with the prime minister to avoid house arrest due to his alleged marital infidelity. He has already received a pardon from King Norodom Sihamoni after a request from the prime minister, which would call into question his loyalty to the party. 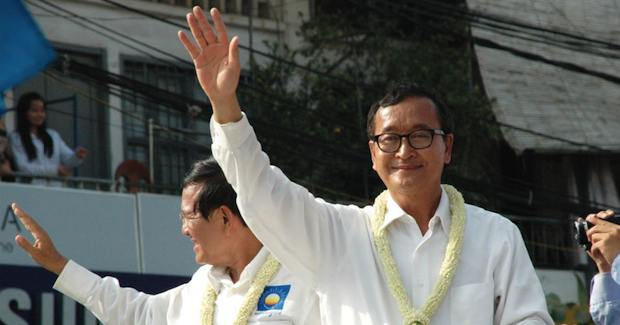 The CNRP is the result of a merger between Rainsy’s and Sokha’s parties in 2012 and their original differences have never been completely reconciled. The factions created through the affiliations of the two leaders have created a power-structure without any real democracy. Agreement within the party is difficult to reach and there is no forum for debate. Consensus is thrust from the top down, which means the interest of the majority is not always made a priority. Relying solely on the leader’s success to win elections weakens the party. In September, 39 countries signed a joint statement to the UN Human Rights Council expressing concerns regarding threats to opposition parties and NGOs in Cambodia. It called on the government to ensure free and fair elections to legitimise the next government. UN Special Rapporteur Rhona Smith also added that the Cambodian government must ensure no future deterioration of democracy including the undermining of trade unions and NGOs, the unjust detention of activists and restrictions to freedoms of assembly. Although the current government has ruled for 38 years—dominating the political landscape—the CNRP still has a chance to win. Besides the potential return of Sam Rainsy, the most interesting development will be the reaction of the ruling party to the loss of power, especially since Prime Minister Sen stated he will deploy the military against any political party seeking to “overthrow” his government. Free and fair elections in 2018 will be a testament to Cambodia’s democratic stability earned through years of peace. Caroline Karavoulias is currently undertaking a masters in international relations at the University of Queensland. She is also an intern at AIIA’s National Office. 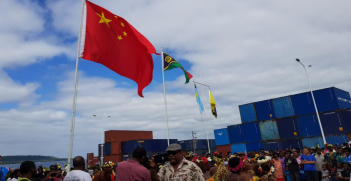 Chinese Aid to the Pacific: What are the Concerns? What is the nature of Chinese foreign aid to the Pacific? How has this shaped Australian concerns?